In a soft market, many horse sellers will exercise creativity and enter into sale agreements that allow the buyer to pay in installments for the horse. Unfortunately, many of those buyers miss payments, perhaps because they have lost their jobs or just overextended themselves buying horses. 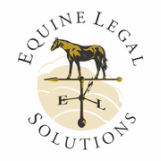 Once a buyer stops paying, it is often difficult to complete the transaction, and at the end of the day, the seller may be forced to repossess the horse and/or take the buyer to court to obtain a money judgment. Many times, the horse is now in much worse condition – he’s often thin, lame or ill, and almost always, his training has suffered. 1. Don't allow the horse to leave your property until the buyer has completed paying for the horse. This key step ensures that the horse will receive excellent care and therefore be easily saleable later if this sale falls through. Not only that, retaining possession of the horse eliminates the need to obtain a court order to repossess the horse if the buyer stops paying. 2. If the horse is registered, do not release the registration papers or sign a transfer form until the buyer has completed paying for the horse. Retaining the registration papers can be a powerful incentive to complete payment, as the buyer will not be able to breed the horse or show it in breed association shows until the buyer is the registered owner. 3. Put the sale agreement in writing. We can’t emphasize this step enough, as it helps avoid misunderstandings and provides helpful evidence in your favor if you have to seek legal remedies against the buyer. It’s affordable, too - ELS offers reasonably priced Installment Sale Contracts. We’ve found that offering this low-cost service helps our clients avoid disputes and provides a good basis for any future claims that we might handle on their behalf. 4. Be proactive about collection. Don’t be too nice! The day the buyer’s payment is late, call him and politely inquire about payment. The more time that elapses between the late payment and your phone call, the more likely your buyer will be to continue to skip payments and/or pay late. Not only that, if you contact the buyer immediately, you may find out that the buyer has moved or disconnected his telephone, and the sooner you have that information, the easier it will be to track down the buyer.